Whoops! The Play That Goes Wrong celebrated one year on Broadway since it began performances on March 9, 2017. 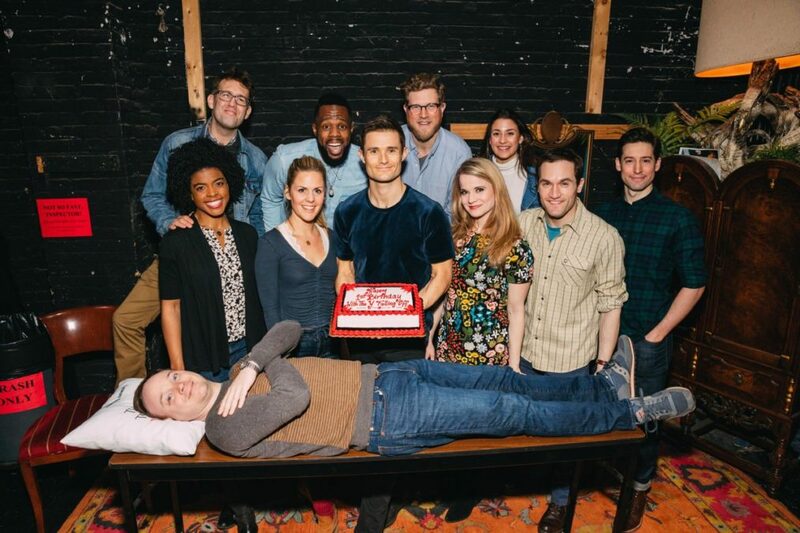 That's one year of miraculous mistakes and ensuing comedic gold: falling sets, incorrect props and forgotten lines aren't even the half of the fun failings that go terribly wrong in the production within a production at the Lyceum Theatre. 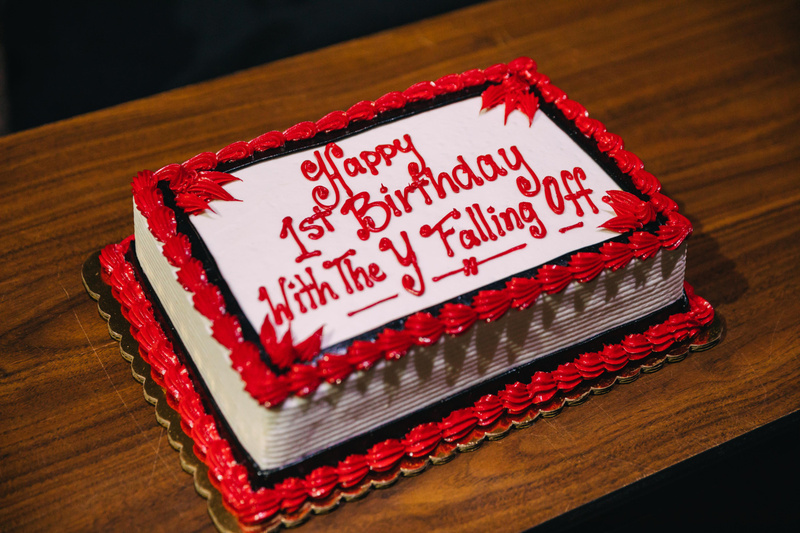 The cast, including principals Akron Watson, Ashley Bryant, Mark Evans, Amelia McClain, Harrison Unger, Alex Mandell, Jonathan Felding and more, gathered together for a photo and a slice of cake. Of course, there just had to be an error on the celebratory treat! Peek the pics, and then enjoy some belly laughs live at the Lyceum Theatre! Cake fail! It's only fitting for the cast of The Play That Goes Wrong.